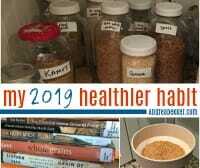 My 2019 Healthier Habit: Cooking, Grinding, and Baking With Whole Grains! For the past several years, I’ve chosen one or two smallish “Healthier Habits” to incorporate into my life and my family’s life — they’ve all stuck because I took my time to implement them and didn’t try to change everything at once. Today I’m sharing more about my “healthier habit” for 2019 — cooking, grinding, and baking with whole grains! 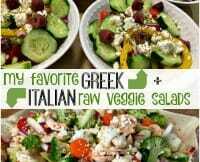 Today I’m sharing TWO of my favorite raw veggie salads. 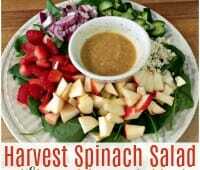 They are both SO flavorful, and an easy way to enjoy raw veggies without a lot of work or extra ingredients. 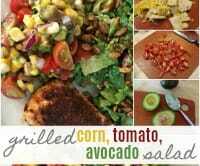 If you’re a salad-lover, I have a feeling you’ll like these salads too — even if it is a little strange to have a “salad” with no lettuce! 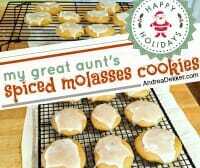 My Great Aunt’s Spiced Molasses Cookies! Growing up, one birthday tradition I loved more than most was when my great aunt Hilda (my mom’s aunt) brought us a huge platter of her delicious homemade spiced molasses cookies. I never got her recipe before she passed away… but then, 2 weeks ago, after a conversation with a distant relative, I stumbled across the recipe and have been enjoying these delicious cookies once again! In an effort to simplify entertaining EVEN MORE, I have a favorite go-to appetizer platter that I can whip up in minutes if we have last-minute guests. I can also make it well in advance if I have the time. This 5-part foolproof appetizer is perfect any time of year, for any type of party, and can accommodate almost any dietary restriction or food allergy. 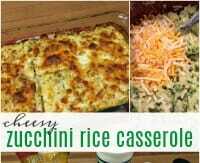 Plus, it’s super simple and uses many ingredients you can buy ahead, so you always have them in the house. It took time for me to get onboard with veggies for breakfast — and even more time for my family to stop thinking I was completely crazy — but now breakfast is honestly my favorite meal of the day. I love coming up with new and different ways to work more veggies into our morning meal. 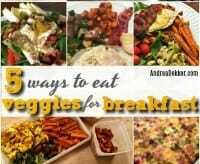 If you’d like to try incorporating a few more vegetables into your breakfast, here are 5 ideas to get you started! 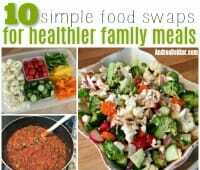 I’m sure you’ve heard the concept of “Meatless Mondays” as a clever way of encouraging people to eat vegetarian on Mondays — well, my family isn’t big on meatless meals, but I do have 3 really simple tricks to stretch our meat AND add a little more protein and fiber into our diets! I like to keep ALL holidays as simple as possible, but Thanksgiving is a big one for me — it can be so much work to roast the “perfect turkey” and have all the foods ready at the exact same time (but it doesn’t have to be). 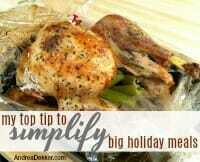 If you’re hosting a big meal this holiday season, let me share one tip that has completely revolutionized the way I prepare big holiday meals, and drastically helped to simplify my most favorite holiday! 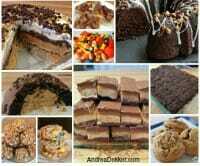 I’m also linking to TONS of my favorite Thanksgiving recipes! 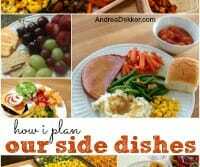 I’ve gotten a huge number of questions about side dishes, so I felt it was finally time to devote one full post to the topic… that’s what we’re focusing on today! 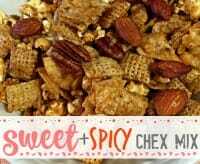 Today’s recipe for Sweet and Spicy Snack Mix is a newer favorite of ours. I got the recipe from a friend this summer — and WOW is it good! I’ve made it a few times for food gifts, and I’m sure I’ll make it a few more times for holiday parties. It’s the perfect balance of sweet, salty, spicy, savory, crunchy, chewy, and oh so delicious! If you’ve never tried squash before, NOW IS THE TIME! 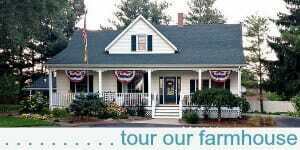 They are fresh, in-season, and most likely selling at rock-bottom prices at your local grocery store or farmer’s market. 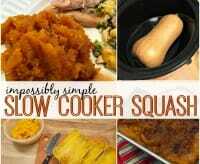 I hope today’s impossibly simple slow cooker method of cooking squash will give you the motivation you need to serve squash as a side dish for one of your meals this week! It’s SO tasty, super nutritious, and even Clara loves it! Even though no one in our family is gluten-free or low-carb, this veggie quiche fits the bill for both. 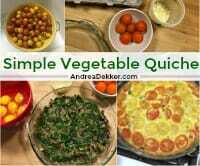 The veggies serve as somewhat of a crust, and the tomatoes on top add a fantastic pop of color! If you’re looking for a really yummy way to incorporate lots of veggies into your breakfast, give this Vegetable Quiche a try! 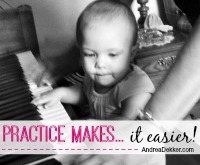 If there’s something you wish you were better at, something you wish were easier for you, something you wish you enjoyed more, my simple tip for today is PRACTICE IT! 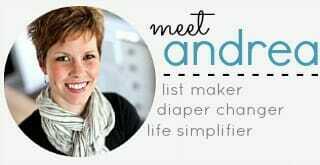 Today I’m sharing how simply practicing various skills over and over again has helped make so many areas of my life feel easier and less stressful. I most likely won’t ever achieve “perfect” but with a little practice, things sure feel a lot easier! 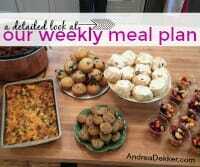 Although I’ve shared many posts about meal planning over the years, it continues to be one of the most requested post topics… so I’m back again with a more detailed look at what exactly we eat and how I plan all our meals each week. 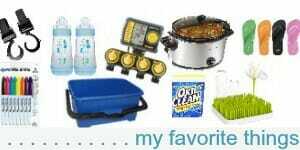 I’m even including breakfast and lunches in this post! If you’ve never tried meal planning before (or if you’ve fallen off the meal planning bandwagon) I think today’s post will help simplify the process and (hopefully) motivate you to give it another try! I’m frequently asked for more “side dish” recipes — and today’s recipe has been a favorite side dish of ours all summer long. The kids eat it really well, which is impressive considering it’s basically all vegetables as I swap out the rice for cauliflower rice. I guess if there’s enough cheese, kids will eat anything! As I’ve mentioned before, I’m a big fan of “stuff salads” with lots and lots of ingredients besides just lettuce, cheese, croutons, and a slice of cucumber… and today’s Harvest Spinach Salad is most definitely a STUFF SALAD!